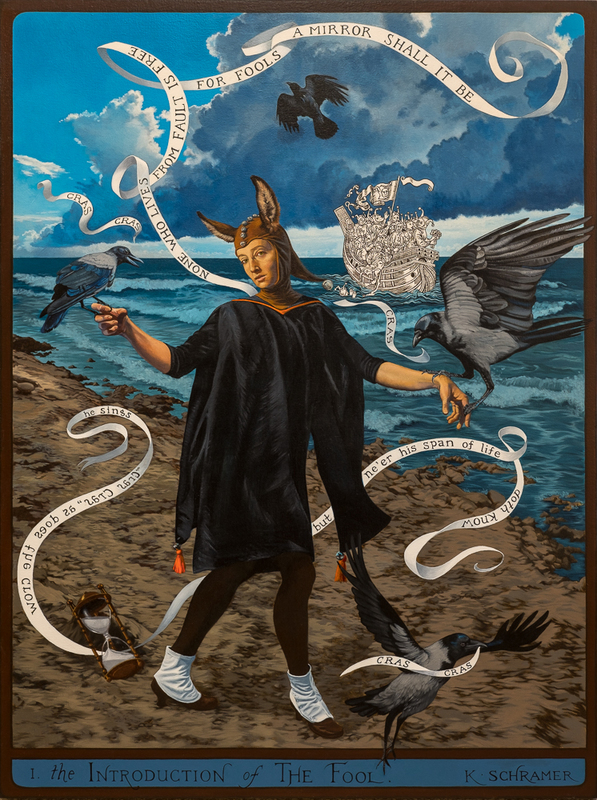 Silence, 2012. Oil on canvas, 36" x 48". 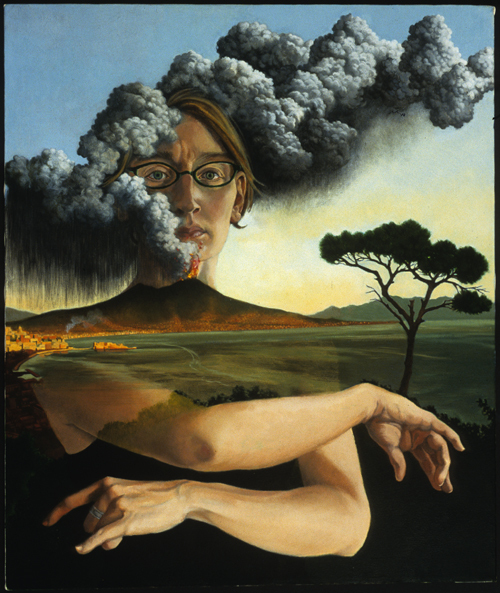 Self-Portrait as Mount Vesuvius, 2004. Oil on canvas, 20" x 24". 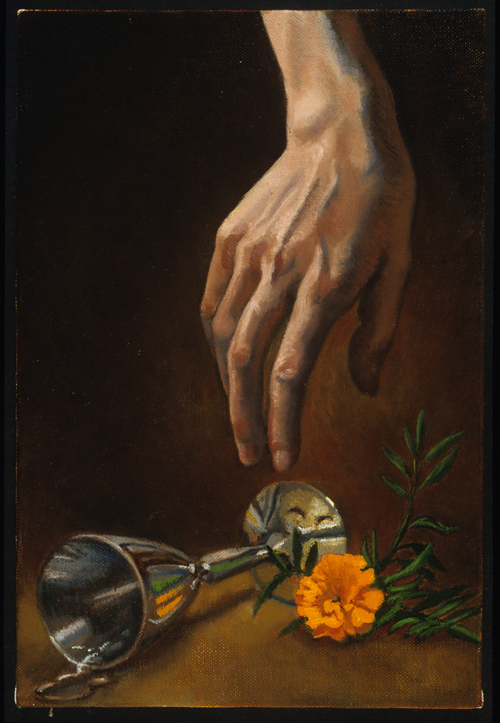 My Left Hand, Holding a Marble, 2002. Oil on panel, 8.75" x 11.75". Private collection. 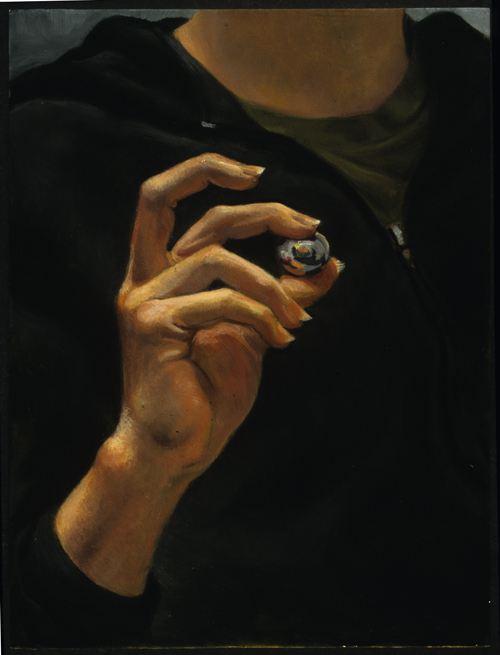 Choice, 2002. Oil on linen, 8" x 12". 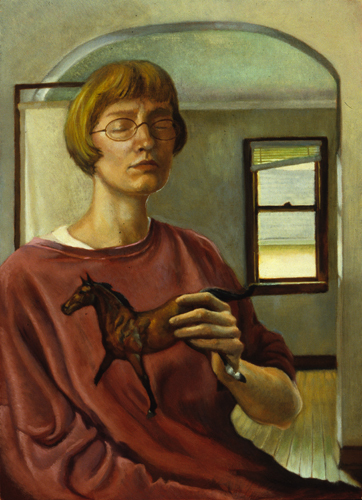 Self-Portrait with Bad Haircut, 1998. Oil on panel, 18" x 24". Private collection. 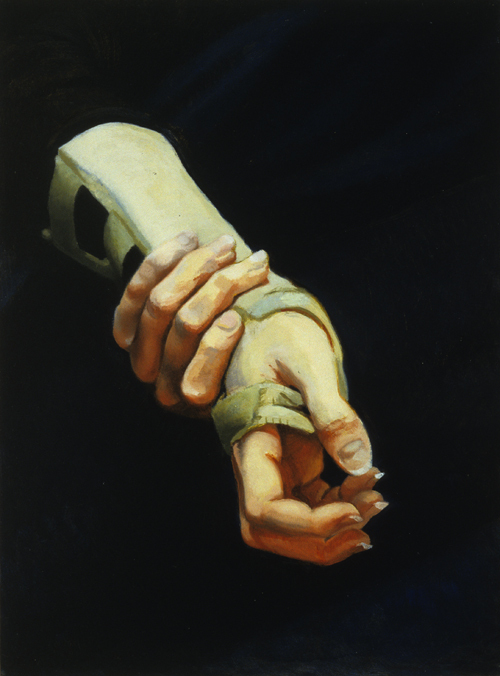 Portrait of My Right Hand as a Victim of My Complacency, 2001. Oil on panel, 8.75" x 12". 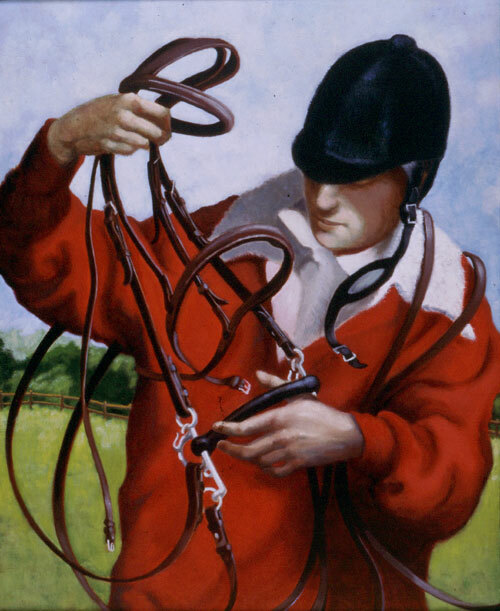 The Horseless Bridle, 1997. Oil on panel, 24" x 29.25". Private collection. 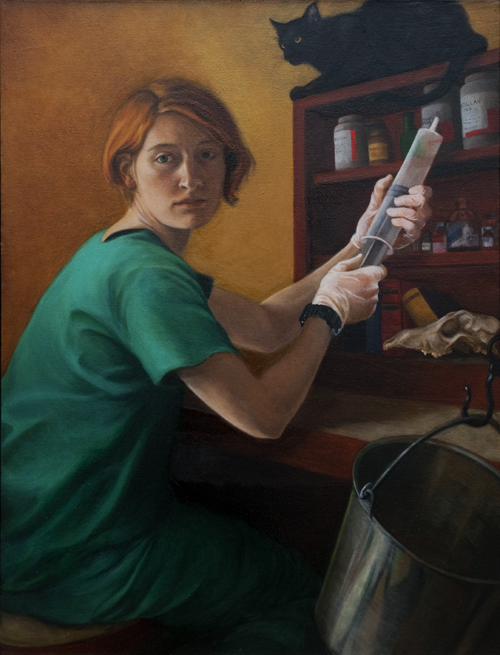 Self-Portrait as a Young Girl Holding a Large Veterinary Syringe, Watched by a Seated Cat on a Wall, 1996. Oil on canvas, 28" x 37". Private collection. 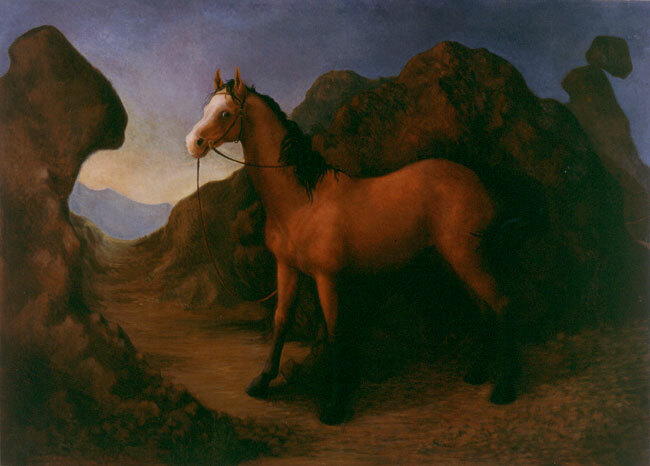 The Ready Horse, 1995. 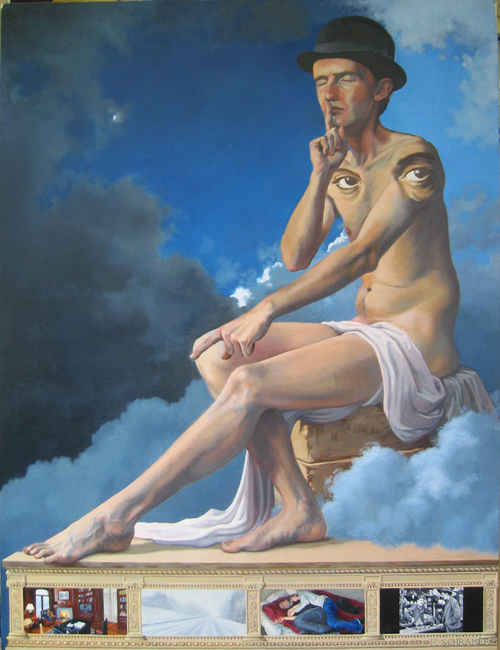 Oil on canvas, 77.25" x 55.5". 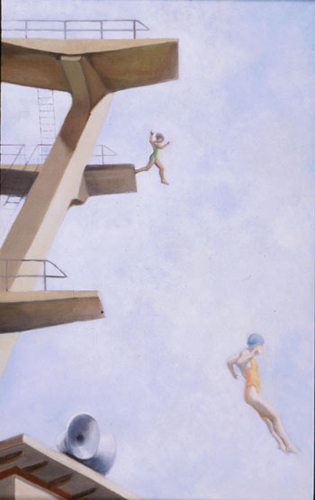 Jumpers, 1997. Oil on panel, 15" x 24". Private collection.